HAVE A QUESTIONS ABOUT PESTS? CALL 1-800-732-1842 FOR A FREE ESTIMATE! What pests need attention now? We'll explain our home and office services in language you can understand. Visit our FAQ. Winner of the Angie’s List 2013 Super Service award, Bug Runner is your source for pest extermination in Bergen County NJ, Rockland County NJ and the Upper Manhattan NYC area that’s effective and environmentally friendly, whether you’re concerned about termites, bed bugs, or other pests. Nuisance wildlife pest removal is a service we offer, in addition to our quality bed bugs control and termite control. We are also the company to contact when you’re having issues with termites. As a matter of fact, the wide array of kinds of pests we deal with makes us a top pick among local homeowners. Residents of the local area have been relying on us for top quality services since 1971. When you’re dealing with pests, you don’t ever want to simply wait it out. This can have devastating consequences for your house’s structure or even you or your family’s health. When you wish to ensure maximum protection and prevention of problems as soon as possible, our services are capable of being taken advantage of on an ongoing basis. 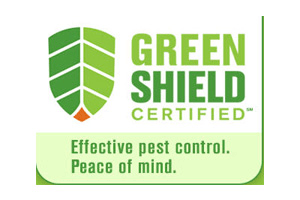 For homeowners, we offer a variety of residential pest control contracts at affordable prices. This is part of our success when it comes to pest extermination in the Paramus NJ area. In addition, we design contracts for custom commercial pest control treatment in Bergen County NJ and Rockland County NY to satisfy the requirements of various types of businesses. You don’t ever want to find yourself in a situation where pests have been allowed to plague your business. It can be a distraction at best to have pests in the workplace, making it difficult to get your work done. At worst it can mean devastating effects for your business, or even being at risk of being shut down. Businesses like restaurants can find they’re in serious trouble when rodents are running around. This is why at the very first sign of trouble, you want to call a professional like Bug Runner. The ideal option is relying on us for an on-going commercial pest control contract. This way you can rest easily knowing your business will be in safe hands. Many times before you’re even aware you’re dealing with a pest infestation in the first place, our experts will be able to stop a potential pest infestation from becoming a significant problem. When you need effective commercial pest control in River Edge NJ and other areas in Northern NJ, call the pros at Bug Runner. When it comes to pest management in Bergen County NJ and Rockland County NY we also pride ourselves in being environmentally conscious. Whenever possible, we reduce the requirement for chemical techniques. A lot of customers are surprised when they see exactly how effective environmental and behavioral modifications are capable of being. Occasionally pesticides have to be utilized, but will always be used with the minimum effective amount. This is simply another reason you should contact Bug Runner for commercial or residential pest control treatment in River Edge NJ. Would you like to learn more about our environmentally friendly treatments? Call us and speak to one of our experts. When it comes to pest extermination in Bergen County NJ and Rockland County NY we also pride ourselves in being environmentally conscious. We reduce the requirement for chemical techniques as much as possible. Environmental and behavioral modifications are capable of being incredibly effective as a lot of customers discover. Occasionally pesticides must be utilized, but will always be used with the minimum effective amount. If you’re in need of residential or commercial pest management in the Paramus NJ area, this is just another reason you should contact the Bug Runner. If you’d like to learn more about our environmentally friendly treatments, give us a call and speak to one of our pros. Homeowners in need of wildlife pest control in Bergen County NJ and Rockland County NY find that they often don’t know where to turn. In addition to pests such as insects, you may discover that you have birds, squirrels, raccoons or skunks which are trapped in your house. Pests like these just want to escape, but can result in damage or health hazards when they’re not dealt with by a professional. We offer top notch trapping services for this reason, which are equally humane and effective. We’ll provide traps which the customer can check on a daily basis. You are able to get in touch with us for a quick pick up as soon as the animal is trapped. We make dealing with these sorts of pests easy. This is the reason such a large number of customers get in touch with us when they need a wildlife pest control company in River Edge NJ. Calls for bed bug removal in Bergen County NJ and Rockland County NY have drastically increased in number since the 1990s. These small reddish brown insects are experts at hiding and catching a ride on unsuspecting passers-by to go from one place to another. Pest control treatments that are accessible to the public are ineffectual against such parasites. That is why you need to get in touch with a residential pest control company that has a dedicated pest management team such as Bug Runner at the initial indication of an infestation. Our bed bug team is effective at discovering the most well-concealed insects in your house or business. This means we’re able to apply safe pest control treatment to solely the infested areas. We are also going to instruct you how to avoid future infestations as part of our pest removal in River Edge NJ. The average cost to repair termite damage averages around $3000, making it crucial to employ a termites exterminator in Bergen County NJ and Rockland County NY that can make certain these pests are cleared from your home or place of business. Bug Runner offers residential pest control contracts along with those for commercial pest control. In the event you notice the tunnels which are the telltale indications of termite infestation, then you must contact a professional termites exterminator in River Edge NJ promptly to make arrangements for termites pest control to decrease the damage to your house or business. If you’re interested in learning more about our residential or commercial pest control service in Bergen County NJ, contact Bug Runner at (201) 391-2121.